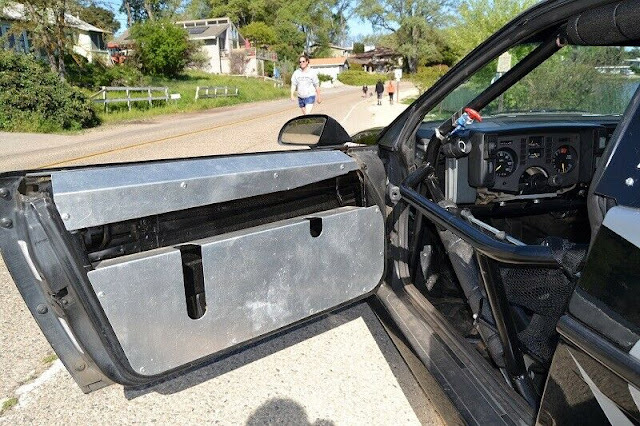 The Pontiac Fiero is a litmus test for car guys. If you like Fiero, you can probably be grouped into the group of people that constantly quote the original Star Trek TV Show and like telling time from analog clocks, but if you don't like the Fiero, you are probably some freedom hating public transit lover. 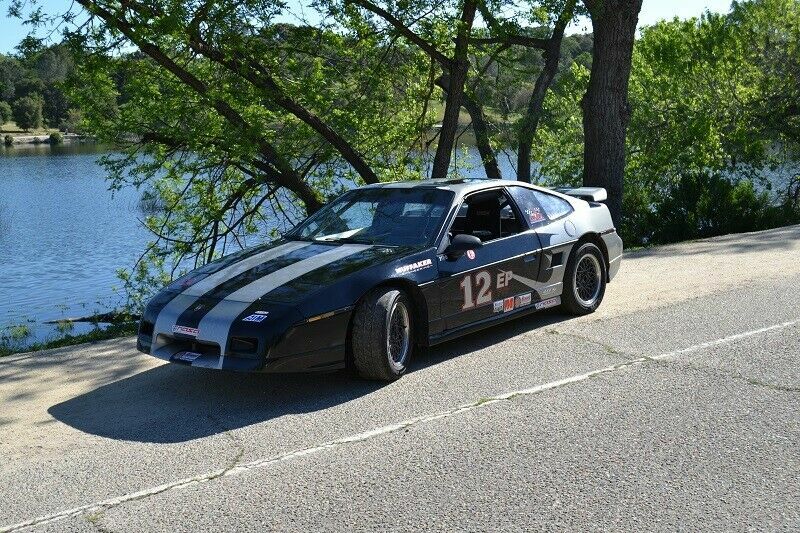 Find this 1986 Pontiac Fiero GT V6 here on eBay offered for $6,300 buy-it-now or make-offer located in Atascadero, CA with 6 days to go. Beautiful pro-built fully sorted race ready and perfectly balanced. 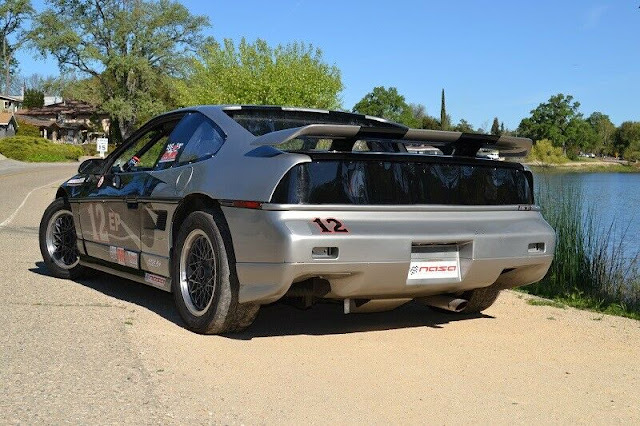 We believe this is truly the nicest Pontiac Fiero race car anywhere. No expense spared cage, suspension, alloy fabrication, brakes, engine mods, stainless headers, Ground Control coil over's/ sway bar, brake ducting system , etc., etc. All this pro built set-up by premier race car chassis shop in Ca. for owner of shop - his personal car. Perfectly balanced, totally reliable, a pleasure to drive. Huge spec sheet. This car is race, track day or event ready today - go straight to track! Ideal go-to race car for unlimited drama free track days. Perfect to start new drivers, teach new racers (wife/girlfriend? ), buddy or kid. Also will satisfy experienced racers as a top tier competition class car w/SCCA, NASA or VARA (***YES - vintage legal) Log books included, pro-built to meet all sanctioning body specs! Lots of race car and money spent to do it right. Beautiful, simple to maintain, low cost to operate and just a blast to drive fast. Absolutely no dissapointments with this one. She is a very good looking race car with a strong presence. Lots of money invested in this pro-built car , One heck of a package for the price. Please compare to anything. This is a very nice car. Spring Season starts now, here is the perfect car to get out and have fun this year - ready to enjoy today!! Car has mild high po build with the focus on reliability and track performance. *Much More -plus Top Tier Build Quality, Fabrication and set-up! So the seller thinks that this is the perfect car to teach the wife and girlfriend to drive? Even with a full roll cage that doesn’t sound all that safe. I think he meant "teach them to race". In theory this car should be a really great way to get into vintage racing. Everything looks to be done right, and with a set of race tires this would be a very stable car. They tend to rotate under braking, but the coil overs and sways could negate that for beginners. Any race ready car with a SCCA and NASA book for under $10K is a good deal. Vince, what's been happening? You doing google remarketing to spammers?